A California man was arrested after jumping White House fence, claiming to be Trump's friend, D.C. police said. These were the words a California man said to a U.S. Secret Service officer after jumping a fence and entering restricted White House grounds late Friday night, according to charging documents filed in filed in U.S. District Court. 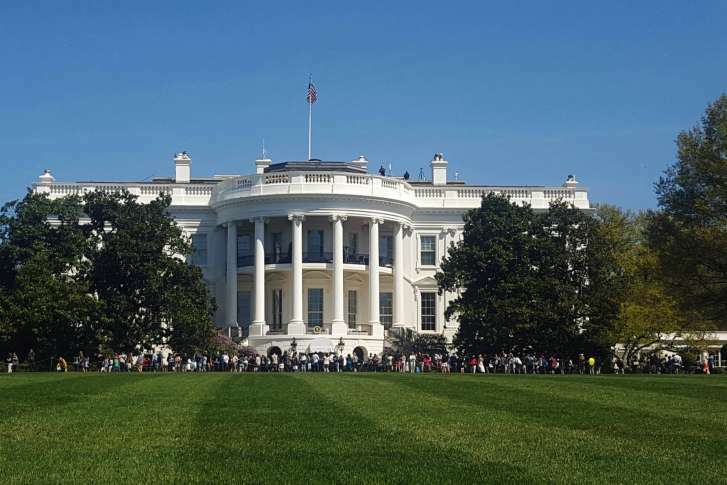 The man, who police identified as 26-year-old Jonathan Tuan-Anh Tran of Milpitas, California, was discovered in the restricted area of the White House when an officer approached him to ask him whether he was a pass-holder, police and court records said. That’s when Tran replied that he did not have a pass and that he had an appointment with the President and had jumped the fence, the report said. Webster then verified through the White House Joint Operations Center that Tran did not actually have an appointment and placed him under arrest. A spokesman for the U.S. Attorney’s office said Tran was charged with entering or remaining on restricted grounds while using or carrying a dangerous weapon. A bond hearing in federal court is scheduled for Monday. Security footage showed Tran jumping over the Treasury Building’s northwest courtyard fence, which is next to the White House security fence at 1500 Pennsylvania Ave. NW, police said. From his golf club in Northern Virginia on Saturday, President Trump praised the Secret Service for the “fantastic job” they did in apprehending Tran, whom Trump called a “troubled person,” The Associated Press reported. Trump was in the White House at the time of the intrusion. Following the incident, Secret Service conducted a search of the north and south White House grounds and found “nothing of concern to security operations,” The Associated Press reported. Police found two cans of Mace on Tran, including one inside his jacket pocket, according to federal court records. Tran was also carrying a U.S. passport, an Apple laptop computer, a book written by Trump and a letter he had written to the president, the complaint said. In the letter found on Tran, he mentioned “Russian hackers” and said he had information of relevance, according to the criminal complaint. He alleged that he had been followed, that his phone and email communications had been read by third parties, and that he has been called schizophrenic. This was the first White House intrusion under President Trump.